I am slowly making my way through a stack of furniture that we brought with us in the move from Oklahoma, plus some pieces that I have picked up here and there. I just can’t resist a piece of furniture that has been discarded or one that someone no longer wants! 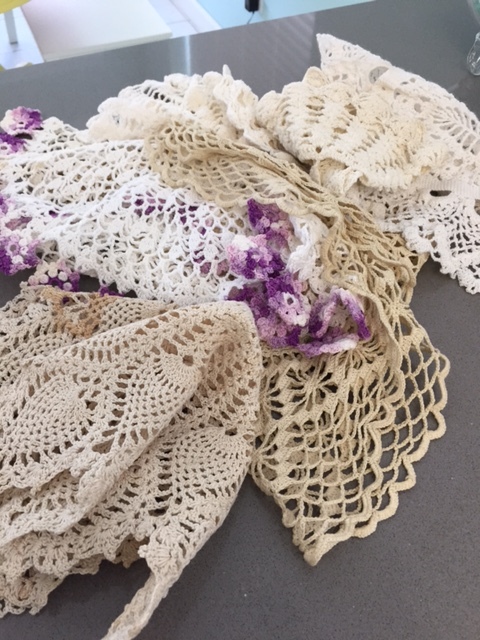 The pieces for this project came from my mom, but didn’t start out as a set. 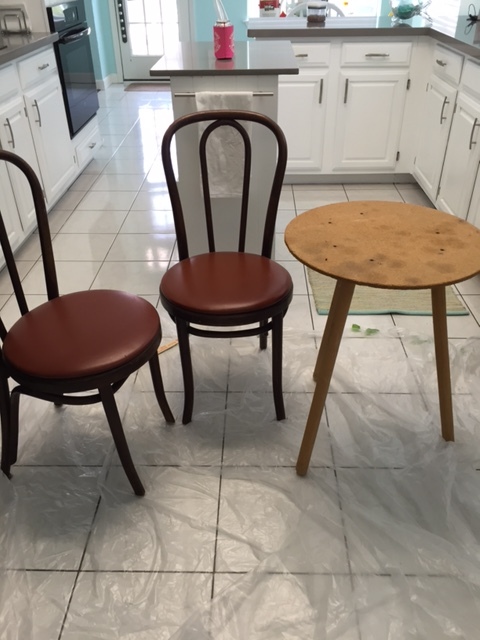 The chairs were from a garage sale that didn’t sell, and were going to be thrown into the dumpster. Of course, she thought of me!! The table came from her bedroom, where she had been using it as a bedside table. I had given her one of two nightstands that I had so she no longer needed this little table. 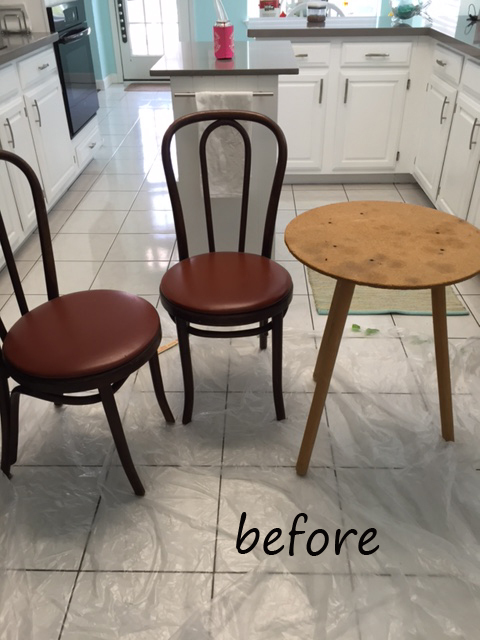 You can see how I redid the matching nightstand that I kept in this post. When I brought these pieces in from the garage, I had no intention to use them together. I was going to use the table beside the bed in the Gypsy Room and paint one of the chairs for the little desk also in that room. 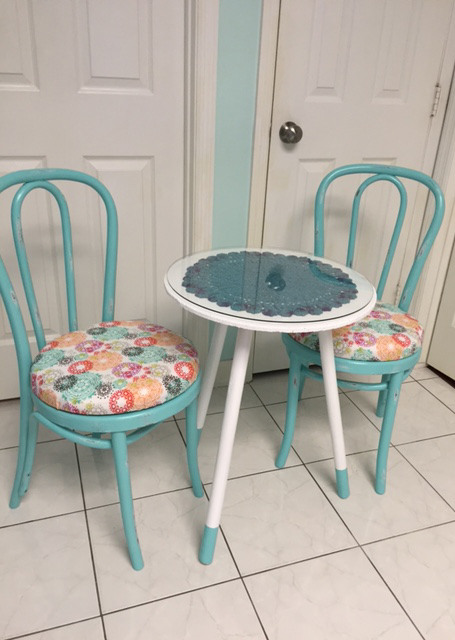 But once I had them sitting next to each other, I thought they would make a cute bistro set! Once I painted them, of course! And after a little paint and some fun material, here is what I ended up with! The hardest part of this entire project was picking out the fabric. 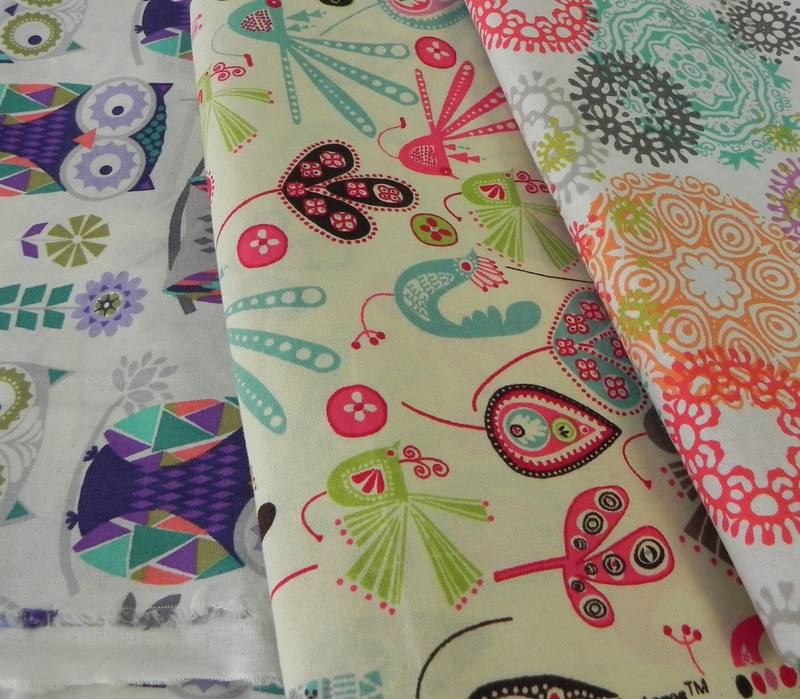 I came home with three different patterns, as I just could NOT make up my mind at the store! At first, the owls were my favorite. But the more I looked at them, the more I gravitated to the circle designs. It reminded me of designs you could make with a Spirograph, which I loved doing when I was younger. 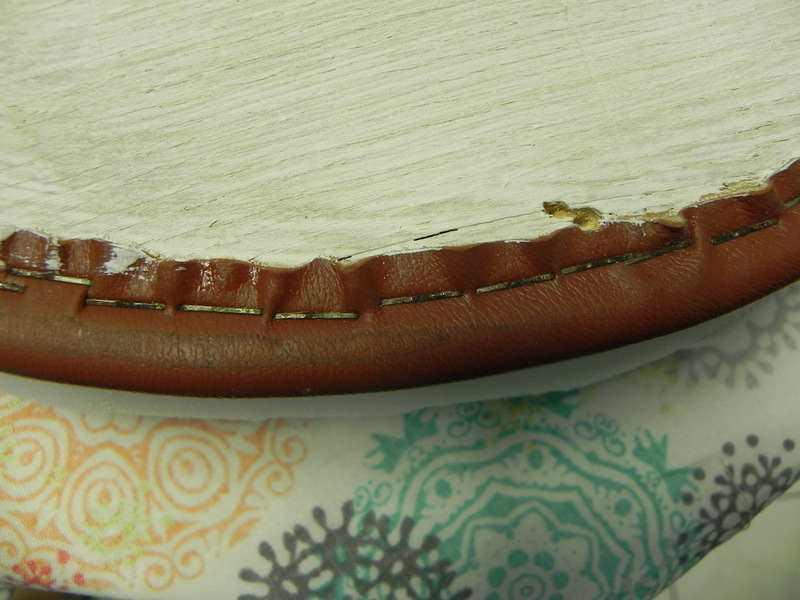 I kept the original padding & vinyl and just added another layer of padding. I was going to remove the old, but let me show you why I left it. 89 heavy duty staples!! Eighty. Nine. In one cushion! There was no way I was going to pull out almost 200 of those bad boys! Therefore, my cushions are super cushy and comfy. How many staples did I use in one cushion, you ask? 29 in one and 31 in the other. 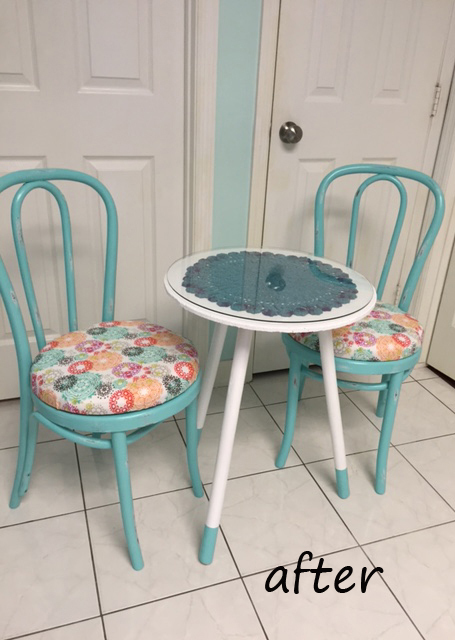 I painted turquoise tips on the bottom of the table legs to tie the table and chairs together. 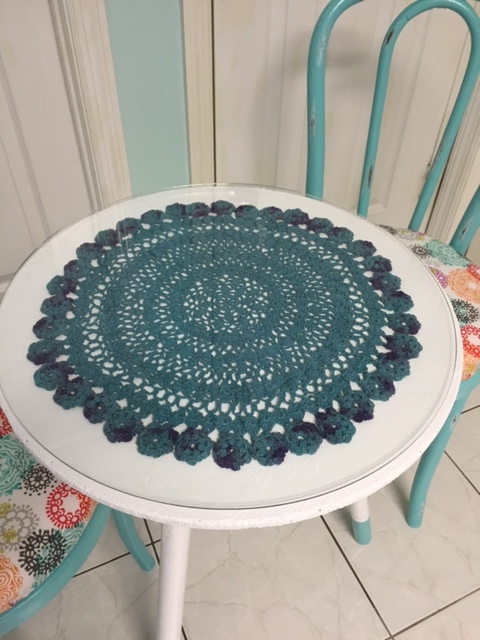 And for the finishing touch of the table, I dyed some doilies that my mom and grandma had made. 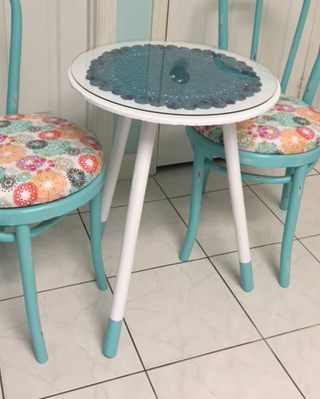 The one I picked to use for the table was the white one with purple trim. It was one my mom had made for my grandma. 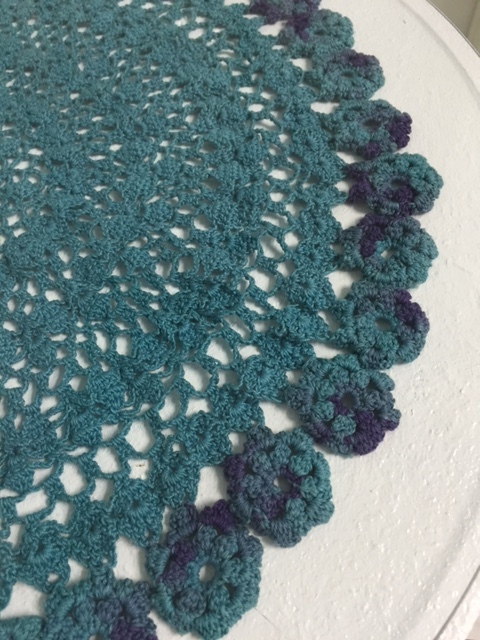 You can still see the purple edges showing through the turquoise, which I love. Purple was grandma’s favorite color and this makes me smile when I look at it. Y’all have a great day!